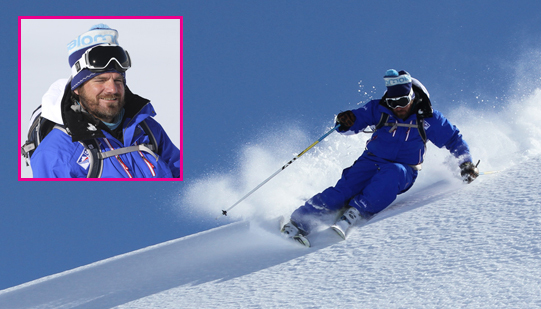 Rupert Goldring's skiing career began in earnest at the age of three, donning strap-on skis to descend a modest slope in his parents' garden in Rutland. 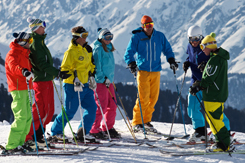 Family ski holidays in Europe spawned an obsession with mountains generally and skiing specifically. Rupert would dream his way through school exams in the comfort that his vocation was already a certainty. After university, he spurned his books and headed to the Alps. 15 years later, he is still there. 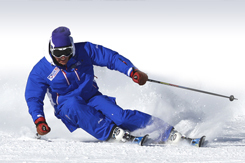 Now one of the world's most respected coaches, Rupert is qualified to the top level, and is a Race Coach (APC2). 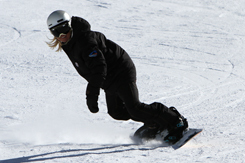 He is also a trainer for the British Association of Snowsports Instructors, coaching and examining would-be ski teachers. 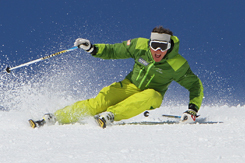 Rupert has taught in Switzerland and Courchevel, and was Ski School Supervisor in Queenstown, New Zealand. But as he first cut his teeth in L'Espace Killy, so he returned 8 years ago. It is an area Rupert deems unsurpassable. Rupert now lives full time in L'Espace Killy. Summers are spent mountaineering, reading, watching cricket.